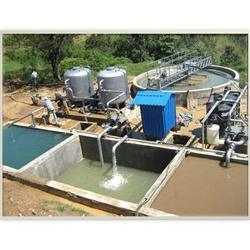 Prominent & Leading Manufacturer from Pune, we offer clarifiers and filtration system. Being the foremost organization, we rule the market by offering an exclusive collection of Clarifiers & Flocculators. The offered products are designed by keeping in mind the set industry norms. 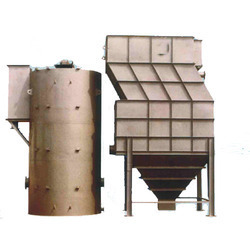 These products are used for removing suspended solids load by coagulation and settling method. Our offered array is admired among our clients for its attractive features. We have established ourselves as an eminent name in offering a vast array of Clarifiers. This product is manufactured using high-quality input factors with following preset industry norms. Also, our customers can avail these products from us at very cost effective rates. Our offered products are highly demanded in floriculture, agriculture and horticulture farms, sugar factories, fertilizers, chemicals, textiles and power plants. Clarifiers, HRSCC can be used for applications such as pretreatment of surface water source and applications in municipal supply treatment plants, ETPs and STPs. These can also be used for floriculture, agriculture and horticulture farms, sugar factories, fertilizers, chemicals, textiles, power plants and in applications, where large capacity is required. 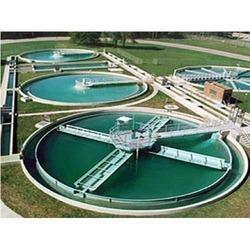 We are an accomplished organization which has gained name and fame in providing Filtration System to the customers. Manufactured using the best qualities of material, these systems are used for removal of organics, odor, oil& grease, and iron by selecting the right type of medium for filtration. Moreover, we offer these products in various sizes in order to fulfill the clients’ requirements. Our filters work on the principal of depth filtration. The principal media in these filters is quartz grade sand and anthracite. Other supporting media include pebbles of various sizes, crushed gravel and silex. The major advantage of this kind of filters is that anthracite which provides for coarse filtration is lighter than filtering sand. Due to which one stage of coarse filtration takes place on the anthracite bed and the next stage takes place on the sand bed. Thus, depth filtration is achieved. Since both media (viz sand and anthracite) are employed the dirt loading capacity of these filters is twice that of pressure sand filters. Hence these type of filters are more capable and give high performance. The principal media in these filters is activated carbon. Other supporting media include pebbles of various sizes, crushed gravel and silex. The activated carbon is a highly porous media. This property of carbon allows it to adsorb the free chlorine in raw water. Also organic matter present in colloidal form, oil & grease is adsorbed in these pores. Thus odour emanating from raw water on account of these colloids is reduced. The activated carbon present in the standard range has an iodine value of 450. This carbon is also available in iodine values of 600, 900 and 1200. The principal media in these filters is manganese dioxide. Other supporting media include pebbles of various sizes, crushed gravel and silex. Manganese dioxide catalyses precipitation of iron and holds back the precipitated matter on the filter bed. These are used to remove iron from ground waters. For larger flow rates where pumping is a constraint, we suggest gravity filter, also known as rapid sand filters, usually at the outlet of pretreatment plant. This reduces pumping requirement and can be a good choice where space availability is not a constraint. AVGF is a boon for places which are remotely located where operators can not attend on regular basis. Automatic Valve-less Gravity Filter comes with a unique feature of initiating backwash based on pressure drop and it does not involve any automation product such as auto-valves, controllers, PLCs etc. It operates on gravity and backwashes purely on delta-P using simple hydraulic principles. AVGFs are Ideally suited for village water supply schemes and remote locations. Looking for Pretreatment Plant ?